Armed with a degree in marketing and computer information systems from JMU, Ashton’s performance-oriented attitude and competitive nature combined with his digital acumen make him an important asset to the Knucklepuck paid media team. 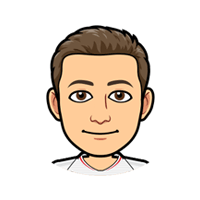 When he’s not driving traffic and lowering CPC for Knucklepuck clients, you can find Ashton glued to any sporting event available — especially Chelsea FC, the Washington Wizards and the Cleveland Browns — keeping track of a staggering mental catalog of statistics. His love of sports should be no surprise, as he was named after the English soccer stadium Ashton Gate in his father’s hometown.